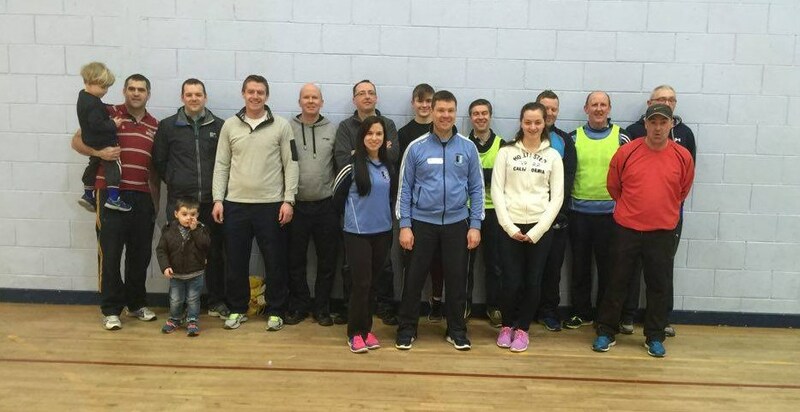 RTÉ’s Operation Transformation is back once again for the new year helping the nation live and lead a healthier and more active lifestyle. 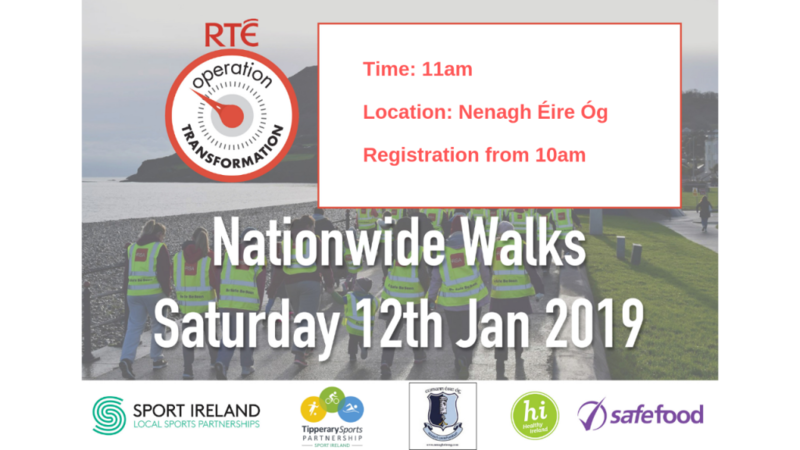 Over 100,000 people have taken part in Operation Transformation walking events since its inception and it is hoped that Saturday, January 12th, 2019, will be our biggest yet! 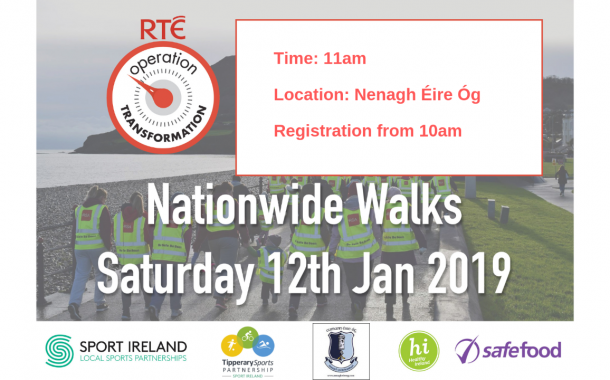 In association with Tipperary Sports Partnership and Sports Ireland, Nenagh Éire Óg are hosting our own Operation Transformation walk this Saturday from MacDonagh Park with registration at 10am. 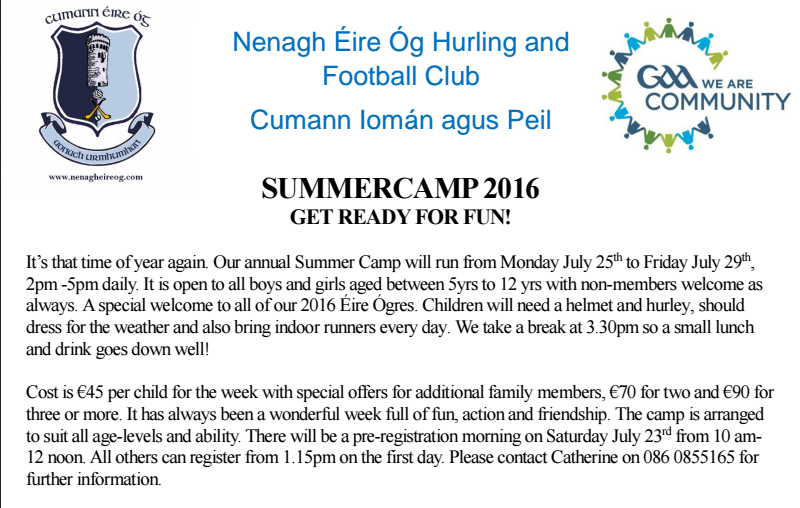 Everyone is invited to take part, regardless of fitness levels, and we look forward to seeing many from North Tipperary participate. 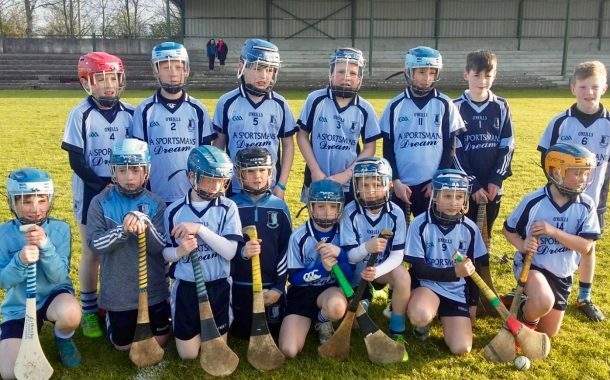 Congratulations to our under-11 side who this evening defeated a fantastic Kilruane MacDonaghs side to clinch the North Tipperary Community Games title on a 4-2 to 2-2 scoreline. 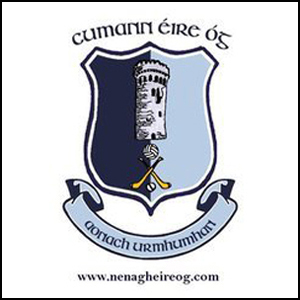 This side is managed by Kevin Tucker, Willie O’ Brien, Sean McTiernan, Kevin Connolly, John Kennedy and David Minogue. 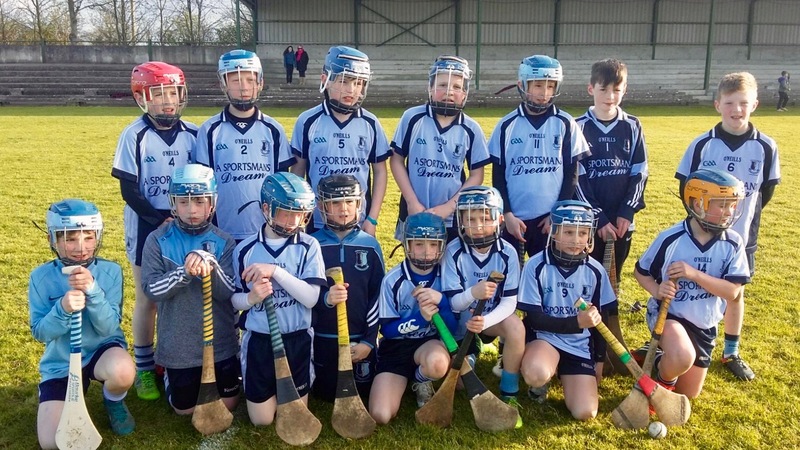 Well done to both sides on skilful, sporting display and there is no doubt both clubs have many superstars in the making. 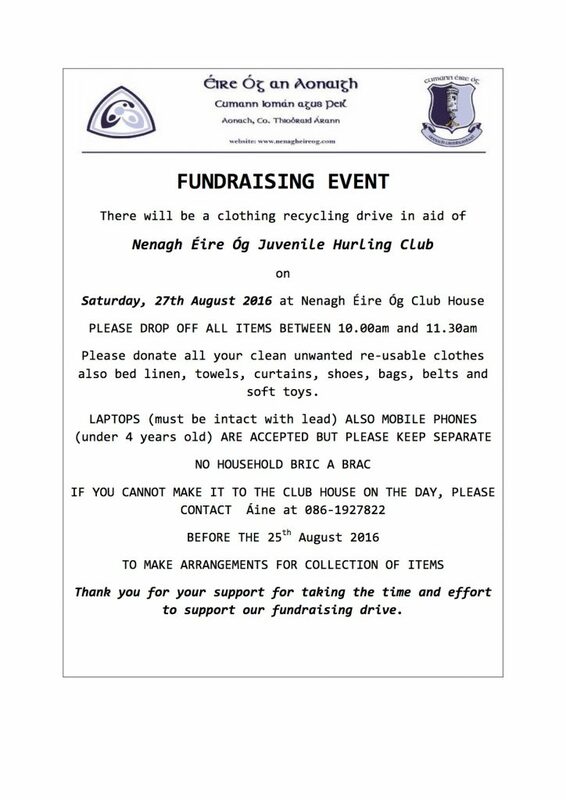 Nenagh Éire Óg Juvenile Club will hold a clothes recycling drive in the MacDonagh Park complex on Saturday, August 27th between 10 and 11:30 a.m. Full details can be seen on the leaflets below. 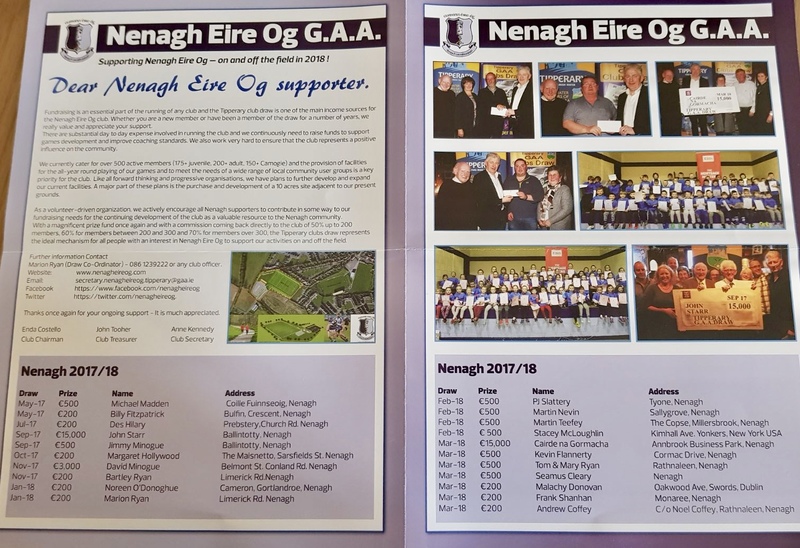 The Nenagh Éire Óg Golf Classic was held in Nenagh Golf Club last Friday, and was a great day for all involved. 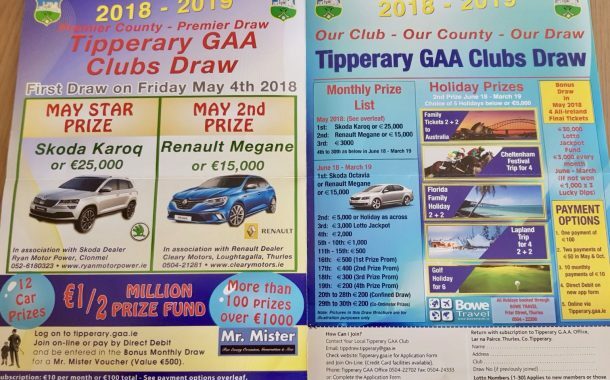 A huge thanks to all who took part in the event, and specifically to all our sponsors who made such an enjoyable day possible. 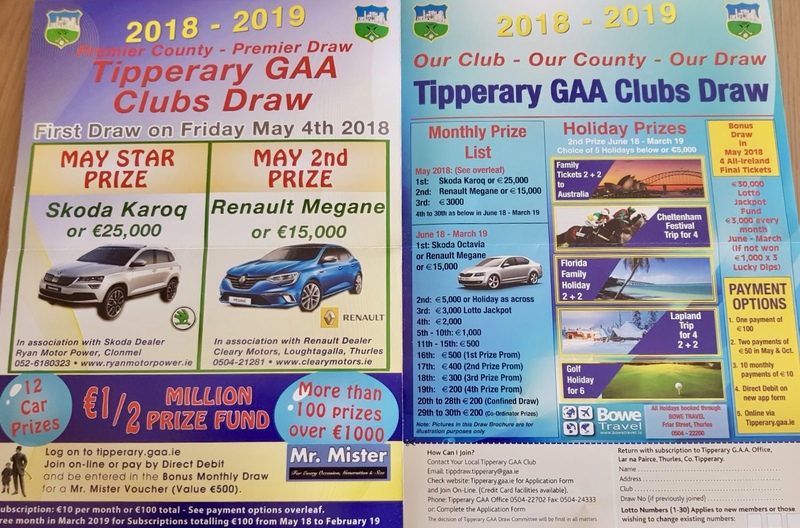 Specific thanks also to our organising committee; Seamus Cleary, Enda Costello, Anne Kennedy, Noel Maloney, Hugh Maloney and John Brennan for their efforts. 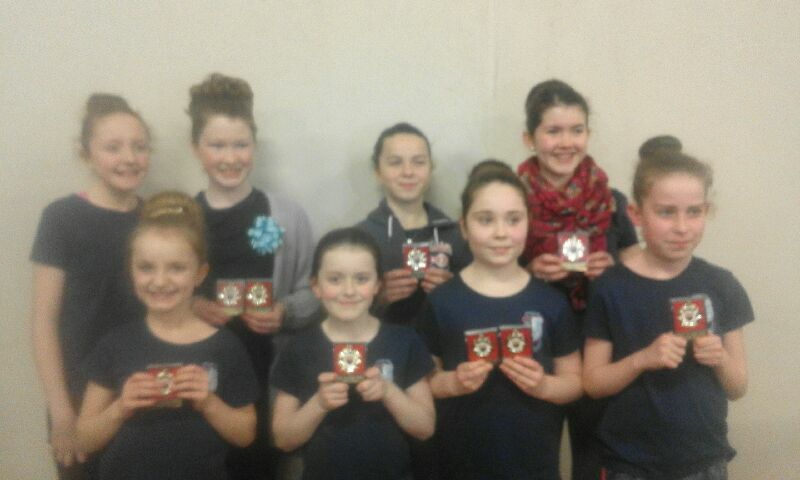 Congratulations to our winners, the team entered by The Pantry Café, Nenagh. 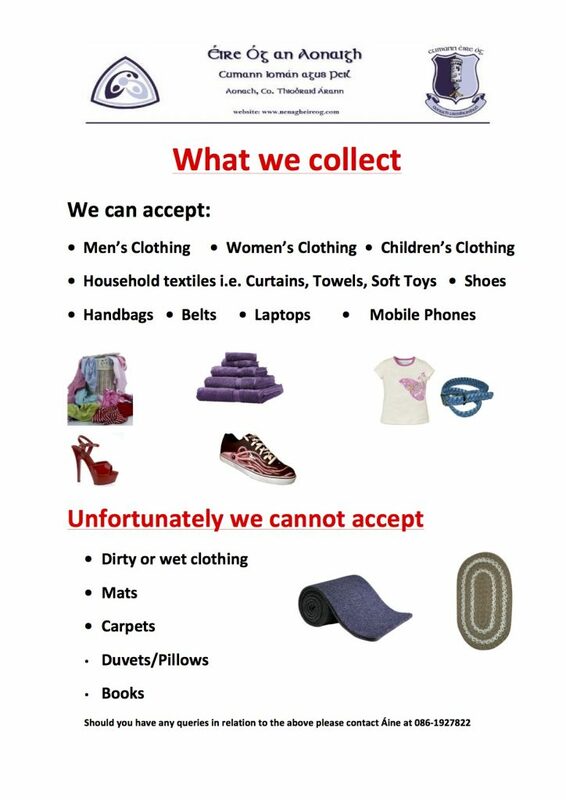 Each member of the team received a stunning LG Television for their efforts. 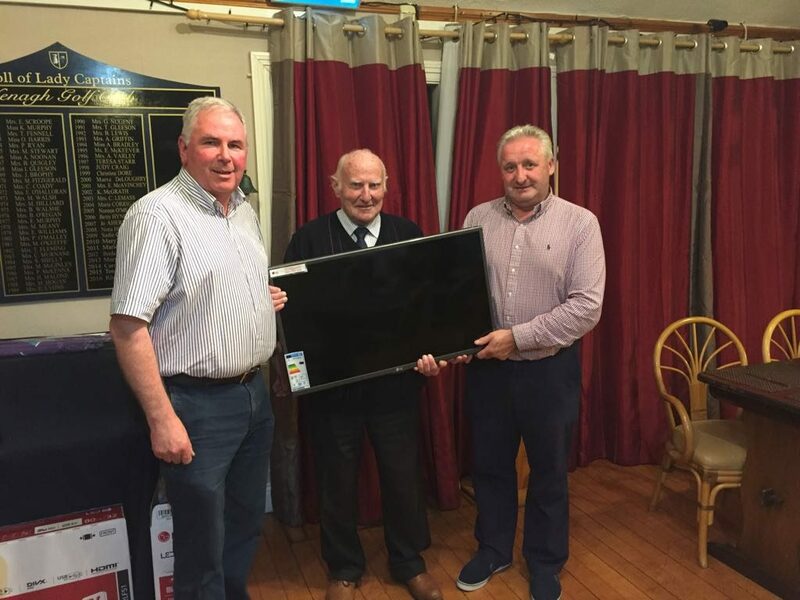 Club Chairman Jim Nagle and Club President Ger Gavin present Roger Coffey with his prize. 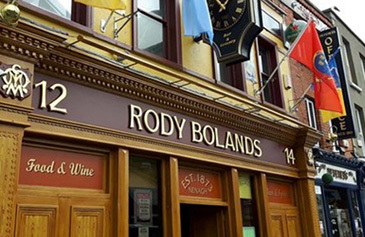 Rody Bolands was established in Nenagh in 1873 by the MacMahon family from Clare, and transferred to Edward Boland (Rody’s father) at the turn of the century. 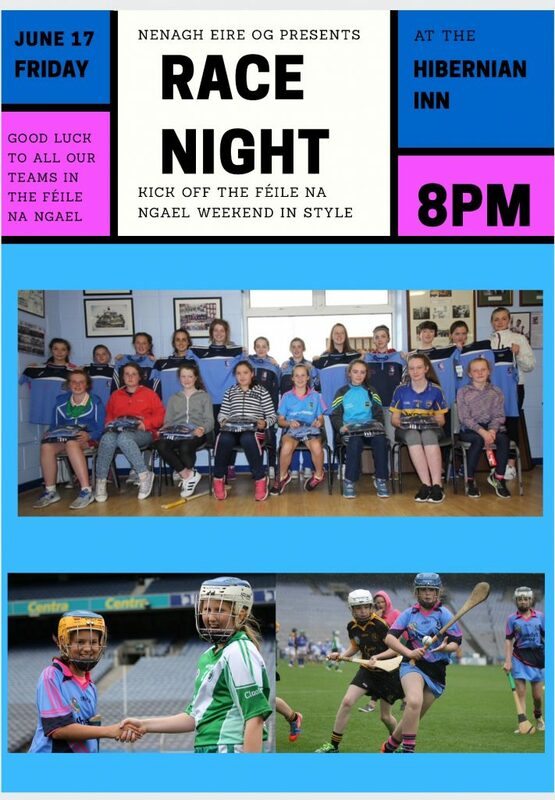 The original furnishings, including the counter, back fitting and more were all moved to Rathmines in 1994, where they can be admired today. 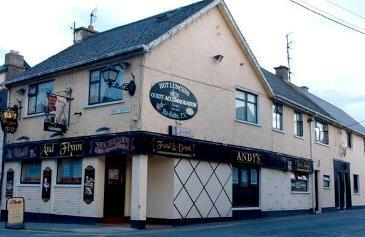 Rody Bolands is now owned by Nenagh man Kieran O’Meara and his son, Brian. 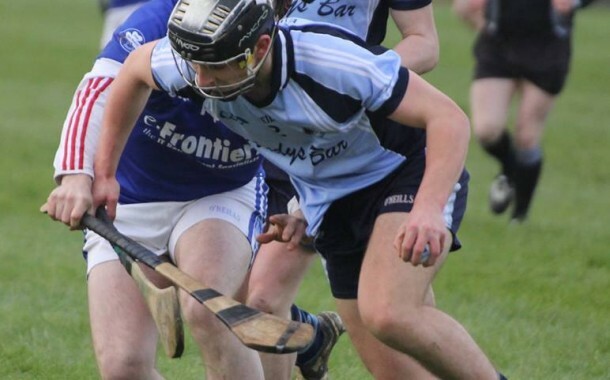 Kieran went to school in Nenagh and played underage with Nenagh Éire Óg, before moving to Dublin. 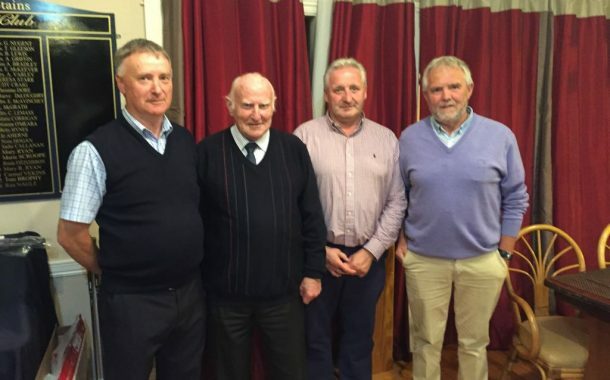 He is also one of the founding members of the Tipperary Supporters Club, and was Chairman when Tipperary won All Irelands in 1989 and 1991. 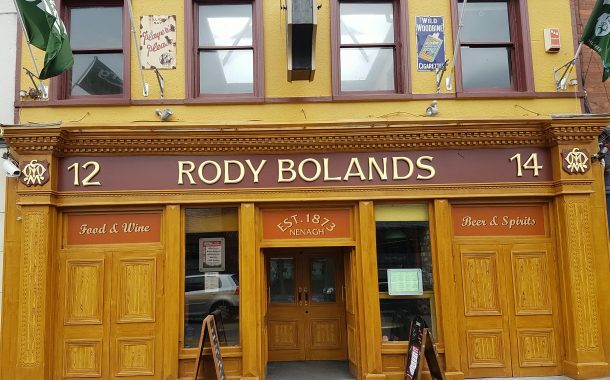 The next time you’re in Dublin, head to Rodys, browse through Rody’s old books (perhaps find a relation mentioned), grab a bite to eat, watch the match on one of our 5 HD Screens, or dance the night away with our late late bar.